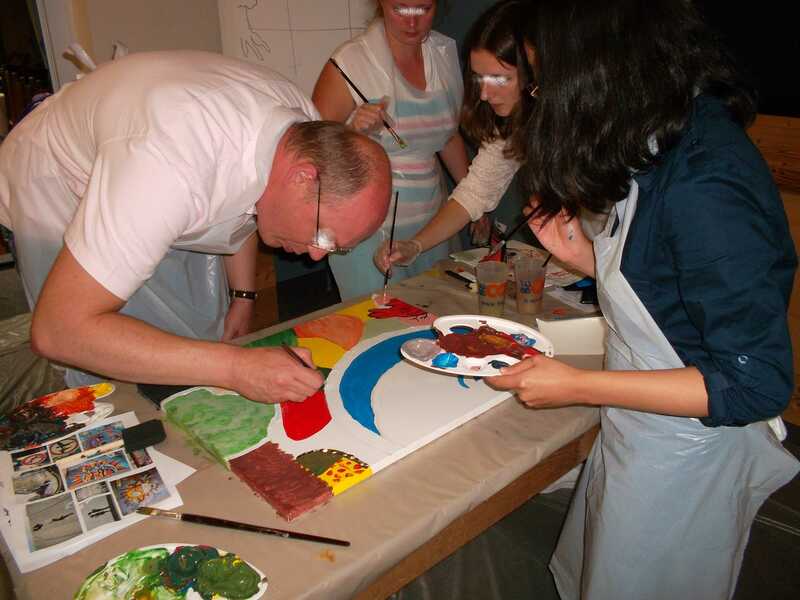 Get out your paint brush for this workshop Fresco ! 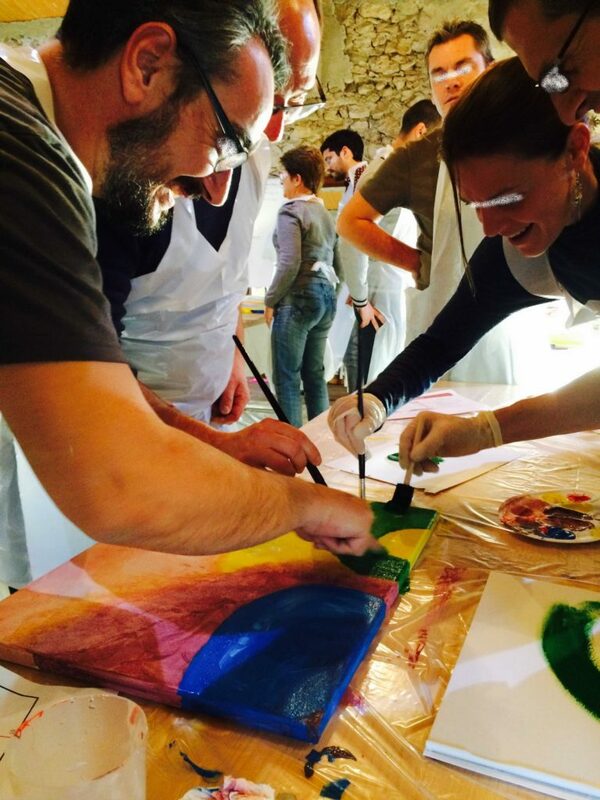 Exchange, creativity and cohesion in the program for this fresco workshop! After a briefing on the progress of the activity, we will constitute several teams who will be in charge of a part of this fresco. They will have to work together and think about the best way to get the message across. 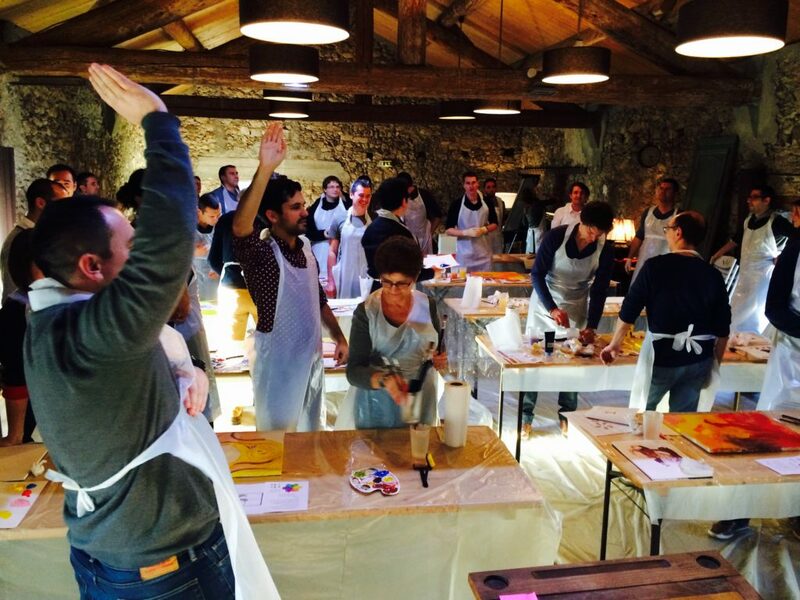 The theme given to this creative exercise will be defined at your convenience: corporate values, image, spirit of your team or a totally freestyle work. After a general and team brainstorming session, it will be time to take action and let his imagination speak. While some will work with application to the realization of their paintings, others will have fun teasing with a brushstroke colleagues. All this in the conviviality and the good mood! 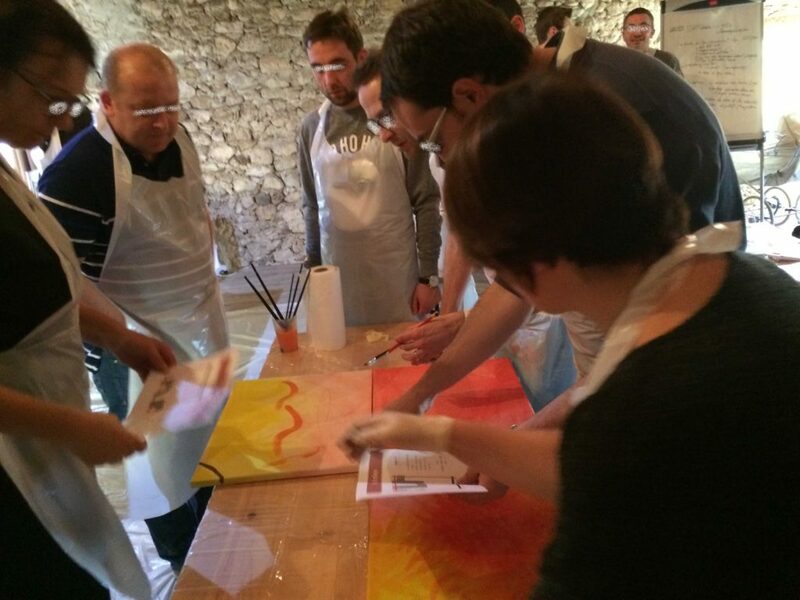 This activity will allow everyone to express themselves orally and / or artistically, and leave a trace on the fresco of your company. 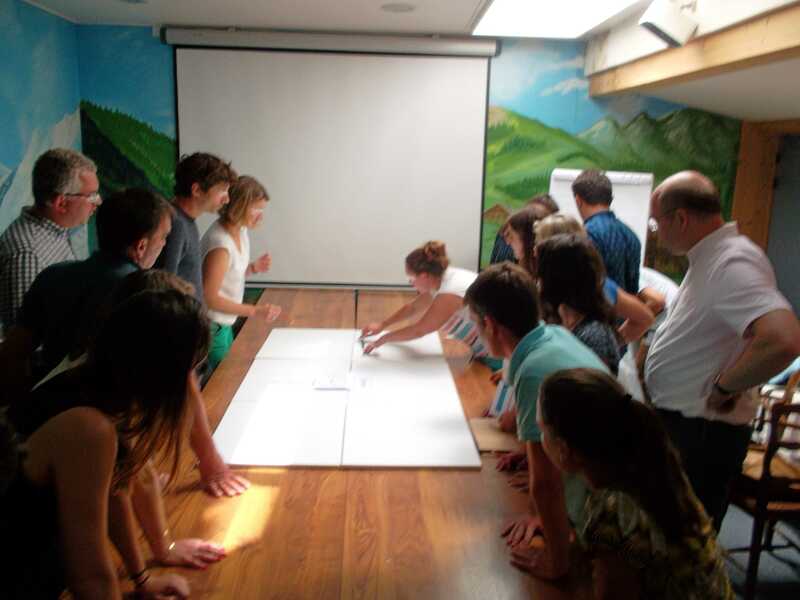 Fresco is an activity marked by cohesion and communication! 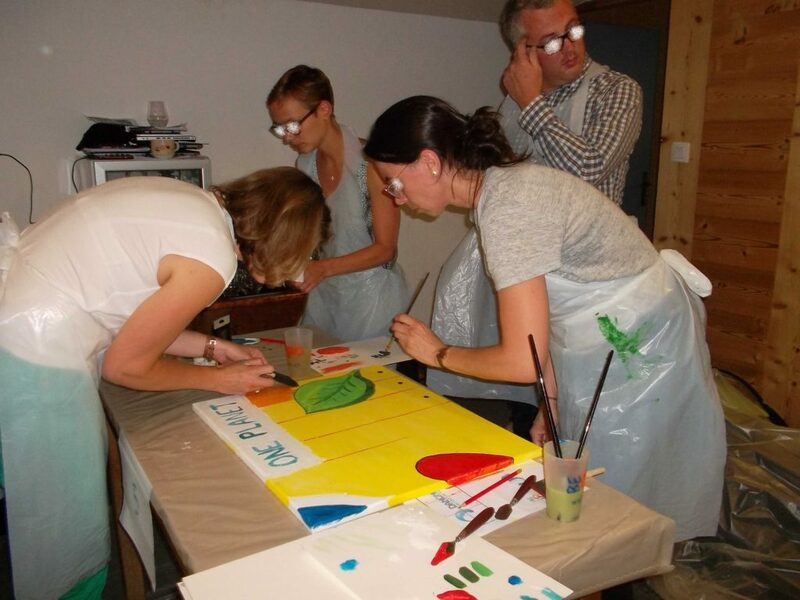 Following this artistic session, we will assemble the paintings of the different teams to finally discover your work of art and see the final result of this team work! 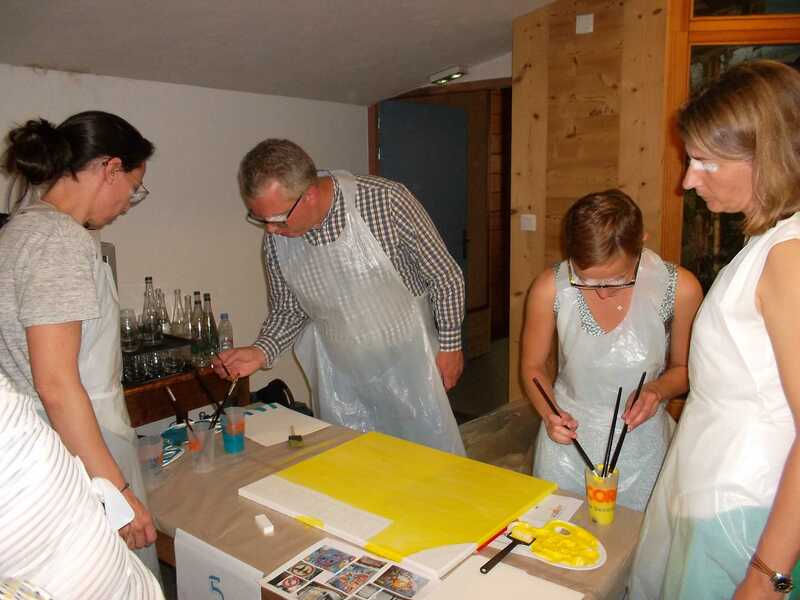 At the end of the activity, you will be able to leave with your paintings and be able to expose the result of your work on your premises. The best way to remember this moment of sharing and good mood between colleagues!